A Burial at Sea – ash scattering – for an individual happens only once. 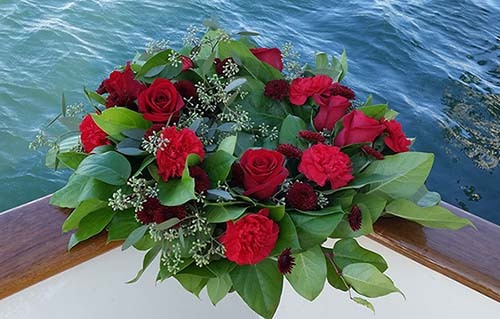 It is an opportunity for those remaining to create an experience to honor the passed love one – to create memories that will last for years with the departed friends and family. There are are several options which you may wish to add to your charter to make it extra special and create vivid images that will last a lifetime. We can provide most anything you desire, so if you don’t see the option here, just ask us. We all complain that there is never enough time, so at least for this very special occasion – Give Your Family Time. This is the best additional option to add to the ash scattering at sea. It takes time to heal and bond, so we recommend at least an additional hour. You may not see some of the family members again for a long time and it’s possible that some will pass this life before an opportunity to see them. During the additional time there are many options such as going down past the city, seeing the dolphins or watching the sun go down. Some families even combine the ash scattering with a whale watching charter. We have had numerous families express to us how they appreciated this extra time during an ash scattering at sea. It made their event even more memorable. The video may be as elaborate as you like. 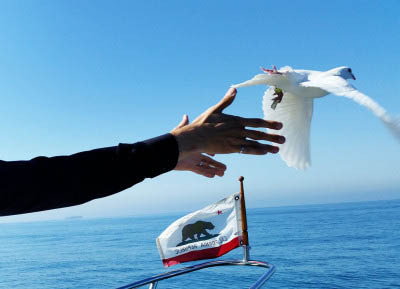 Some people wish a simple video of the yacht trip, ceremony and the actual scattering. Others wish something more elaborate with some post-production work to add music, narration and various types of fades. This is really a lovely remembrance that captures the service for the future. We can also take photos of the scattering and e-mail them to you, or send you a disk containing the photographs. We make sure that our photographer does not become obtrusive during the ceremony. The charge for this varies depending on what you wish. Some families with to use a biodegradable urn for burial at sea services. 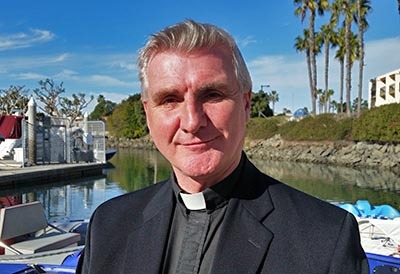 They are not required but some families do not wish to see the ashes on the ocean or perhaps there are religious reason to keep the cremains intact. We have many different types in stock – of all shapes and sizes – and available for you to use. 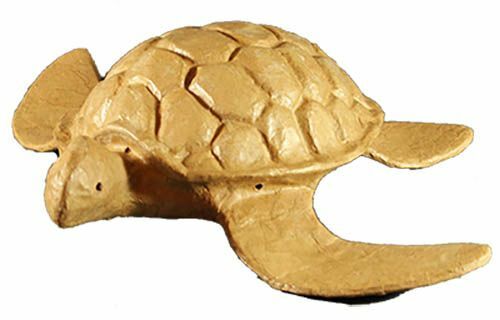 We have listed out most commonly selected ones on our Biodegradable Urns for Sea Burial page. These may be added at your discretion and truly add a lovely touch. There is no need to use excessive amounts of flowers, but a few make it beautiful. 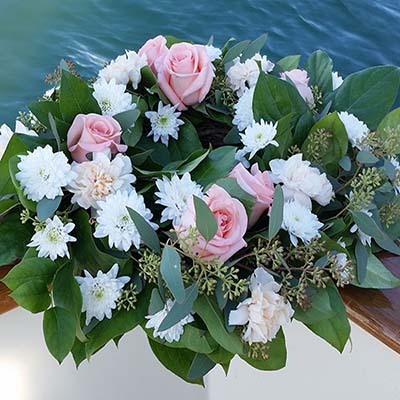 We are only able to put biodegradable items in the ocean, so if you are going to place wreaths in the water make sure that they are not held together with wire or anything that is not biodegradable. 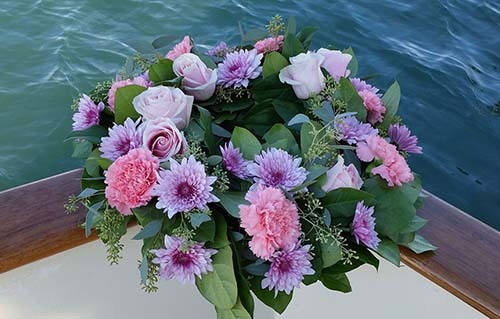 The flowers selected should reflect the likes of the deceased and take this into account when making your flowers selection. We can create wreaths out of most types of flowers. The wreaths do create a great focal point in the water and they are much recommended. 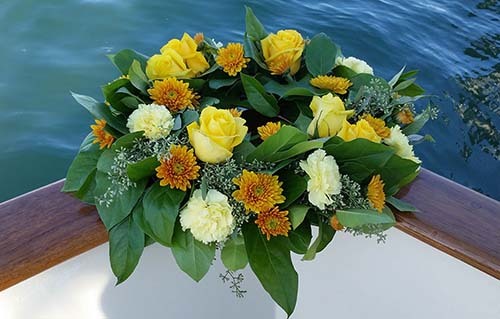 Having a flower (rose, sunflower etc) for each person on boat to place in the water is very nice, as it provides an opportunity for everyone to feel as though they have participated in the event instead of just watching. 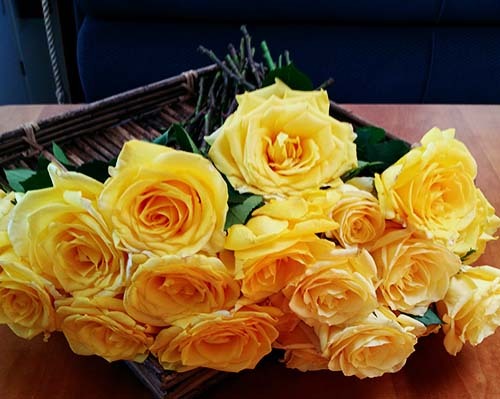 Some suggestion for flowers are traditional roses, sunflowers, wreaths of various sizes and colors, leis are especially nice and personal. 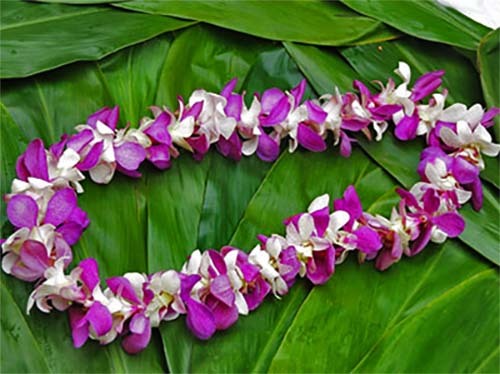 It is said when you take off a lei and placing it in the water you are giving of your love to the person. 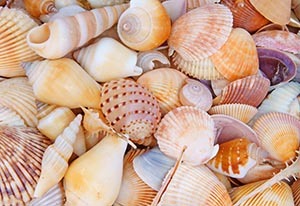 We have found that shells for scattering are a great option for many families. Family members write a message to the loved one and place it in a sea shell which is then placed in the water. 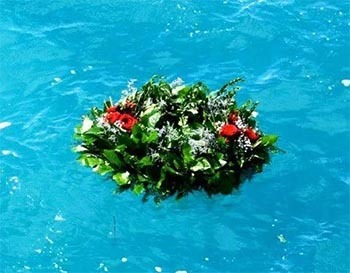 This provides many benefits – a feeling of participation in the sea burial ceremony, a connection with the deceased person and closure by saying goodbye. 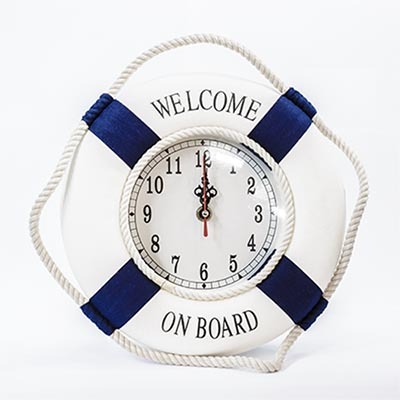 Please let us know if you would like this option on your charter and we will be happy to arrange it for you. 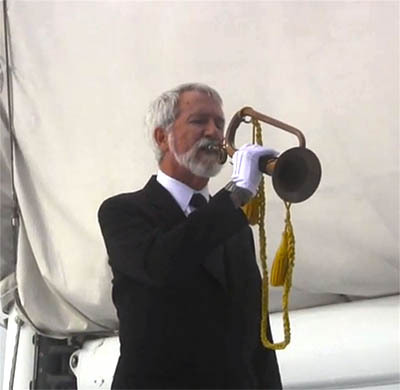 We were surprise when this first happened, but some families wish to take home the flag which was flying on the yacht for the burial at sea service. This is really a very nice touch, especially if the deceased was a veteran. Since we have made it an option, many of our families have decided to take home the flag. 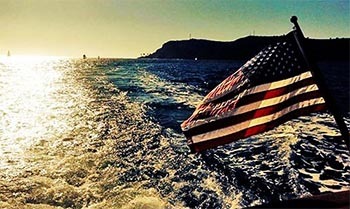 Please let us know if you would like this and we will fly a new flag for your charter. Simple refreshments such as water and soft drinks are usually freely available at no cost. We do allow our clients to bring champagne, wine or the like on to use as a toast to the departed. Arrangements may also be made for additional food, beverages etc. Since everyone’s taste varies, many small groups just arrange bring their own. 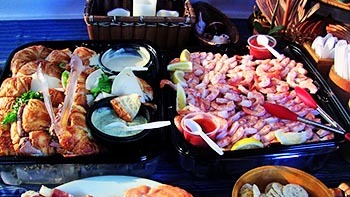 If you would like catering we would be happy to arrange it. Items such as a bagels and fruit, cheese and cracker platter, vegetable platter or other small snacks are inexpensive and add a nice touch to the event. 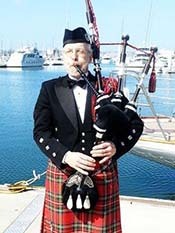 Various other options may also be arranged – such things as clergy, bag pipes, guitar solo or dove release etc. Please if you have a special request just ask us as it is always fun to try and organize something new.